Professionally known as Flore, Christopher Florentino is an American contemporary fine artist and interior designer from Brooklyn. 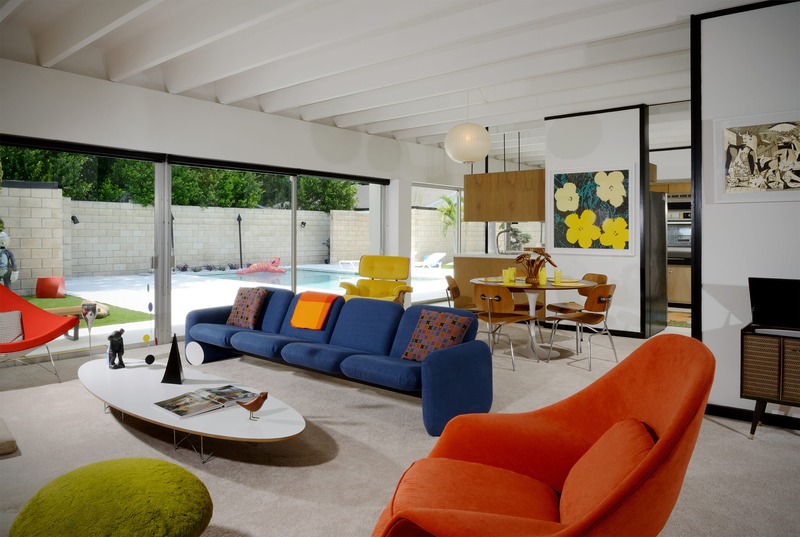 Currently based in Miami, Florida, he is also the fresh owner of Gene Leedy’s stunning The Ellison Residence. 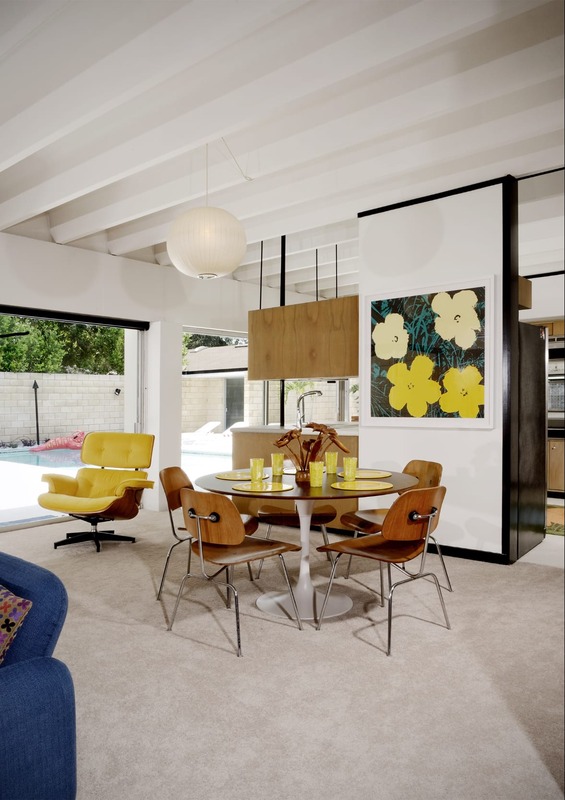 Besides a lifelong obsession with midcentury modern style, it comes as no surprise that Flore resides in a home that is pure midcentury modern perfection inside and out. 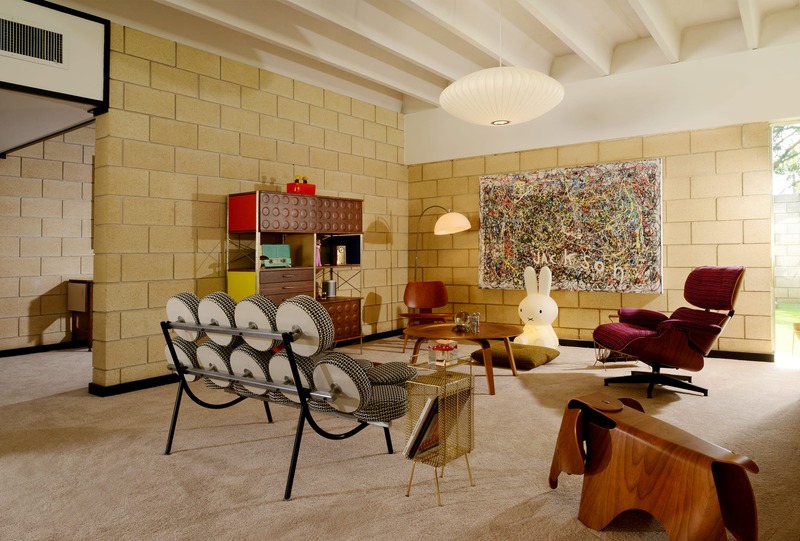 His lifelong obsession with midcentury modern style is unmistakable at first glance into the home; his collection of furniture includes prized possessions from his teenage years. We caught up with the artist to talk about midcentury style and inquired for tips for decorative purposes. What do you find special about this period in American design? The idea of indoor/outdoor living and immersion with nature is ideal for an artist. 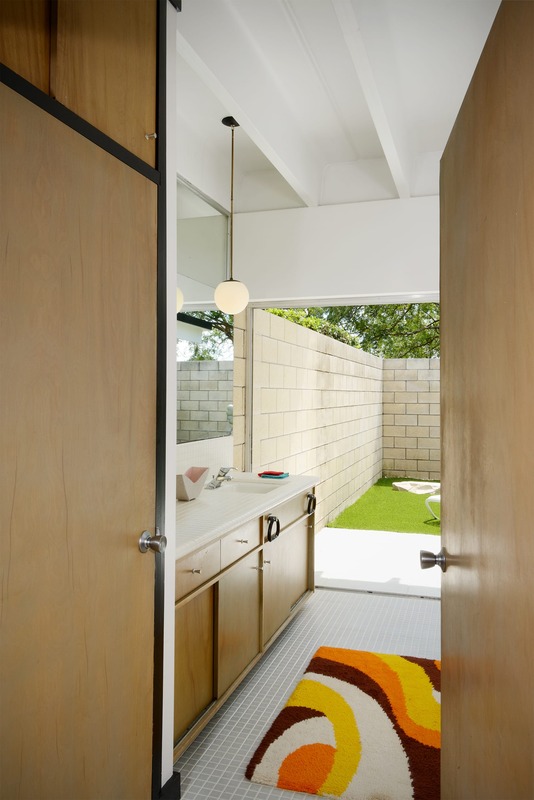 Midcentury modern homes are open and have tons of natural light, not to mention the lines of the home, which are art in itself. 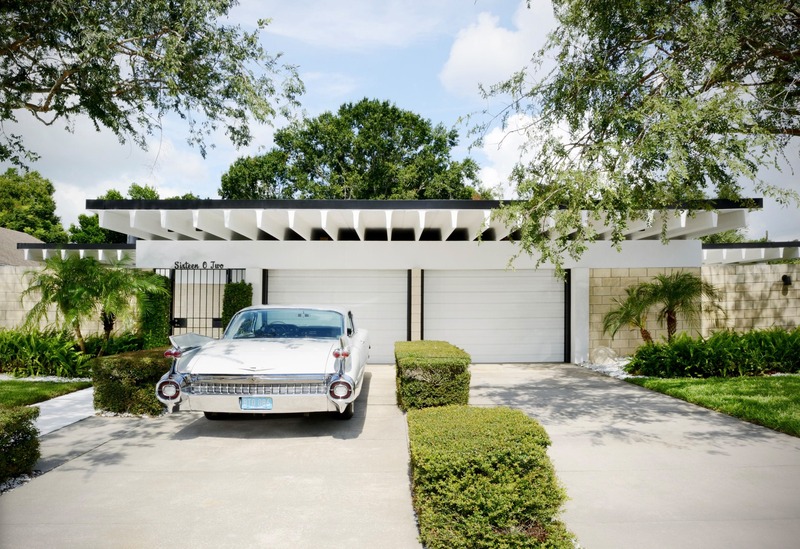 Gene Leedy was a pioneer of midcentury modern architecture and helped discover the Sarasota school of architecture. He was also a peer of Frank Lloyd Wright. Have you had to renovate any part of the house? If so, which area(s)? 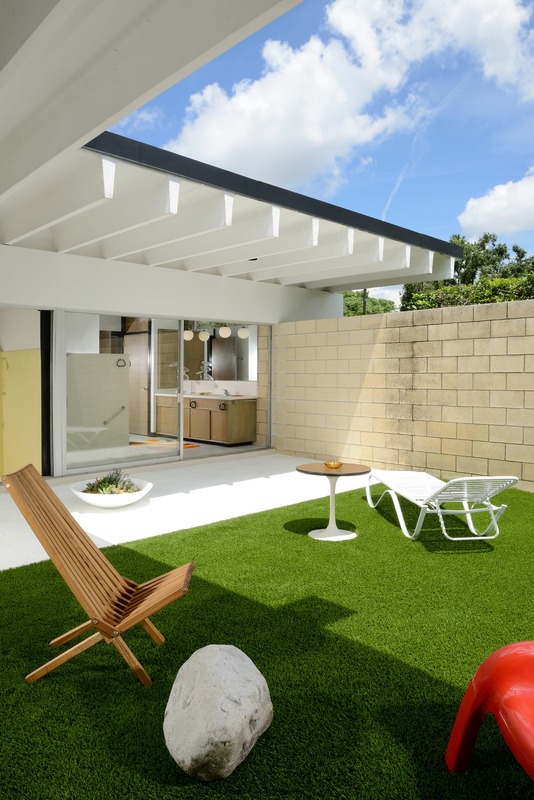 In all the courtyards of my home I had laid down high grade artificial turf so the outdoor living spaces stay clean and maintained. They can always be enjoyed while remaining low maintenance. The rest of the house is all original besides the designer upgrades. 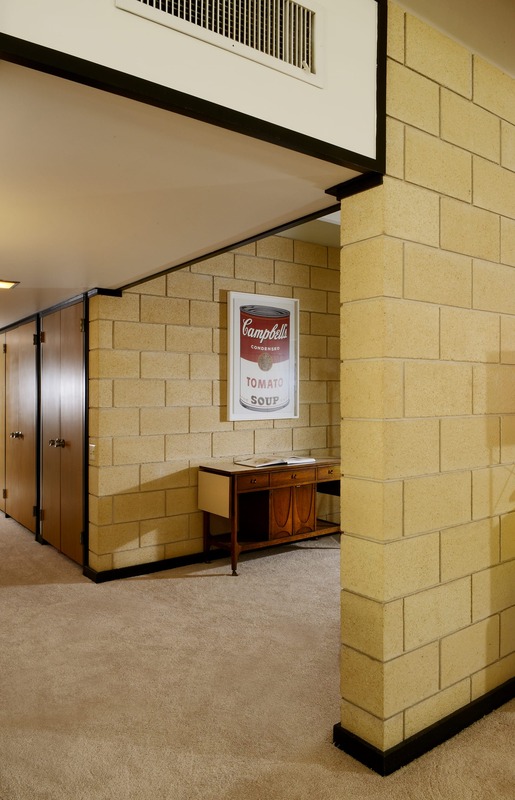 What are the advantages/struggles of living in a midcentury house today? I love that it’s so open, making it great for throwing parties and family get togethers. The only struggle is the lack of darkness in the home. When the sun is up, it floods in from the windows which line most walls. All rooms have 8 foot sliding glass doors out to the pool. 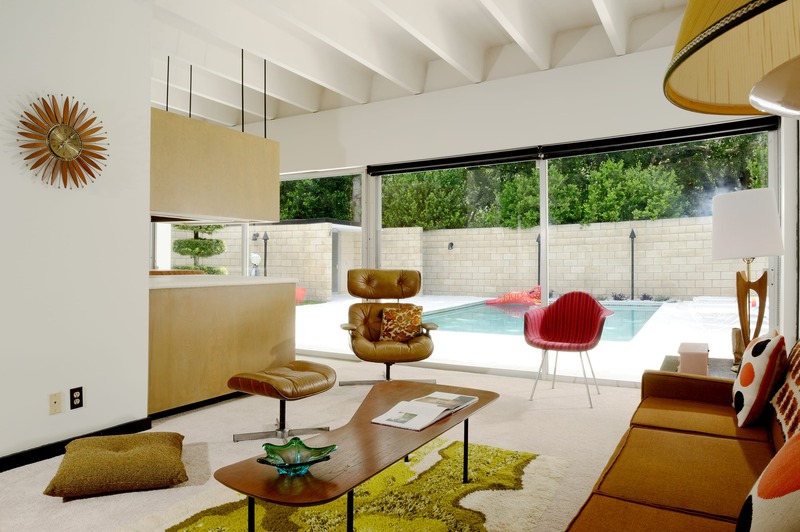 Your house is blessed by a beautiful collection of midcentury icons. When did you start collecting midcentury design and why? My collection has all the great designers from the Alexander Girard period – Charles and Ray Eames, George Nelson, Herman Miller… Most of the furniture I’ve collected are strictly designer pieces. 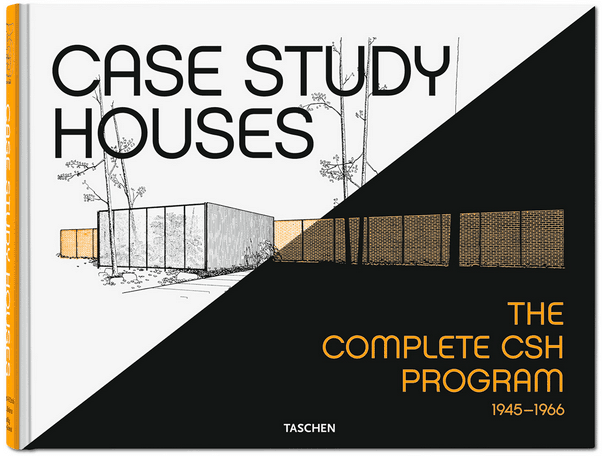 I have been in love with Eames since the age of 13 and I’ve been searching for hidden gems ever since. My favorite part to this house is the 13 eight foot wide glass sliding doors that open out to the pool and line the bathrooms. It’s like a private spy courtyard. 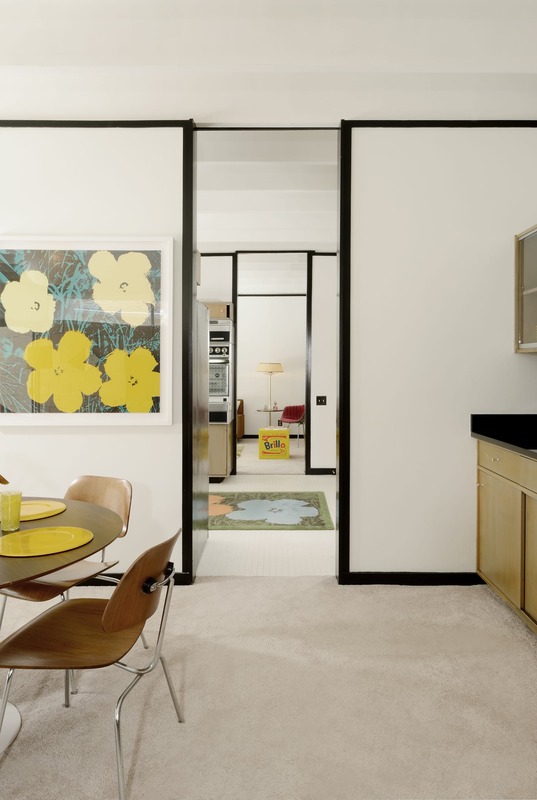 Last but not least, do you have any tips for people interested in decorating their house in the midcentury style? What should they pay attention to and why? To find great midcentury modern pieces, study the past and look for used originals wherever you can. Check ebay, craigslist, antique furniture stores. If you want new, Design Within Reach has all midcentury modern design furniture. A good design can go anywhere in your home and look good. 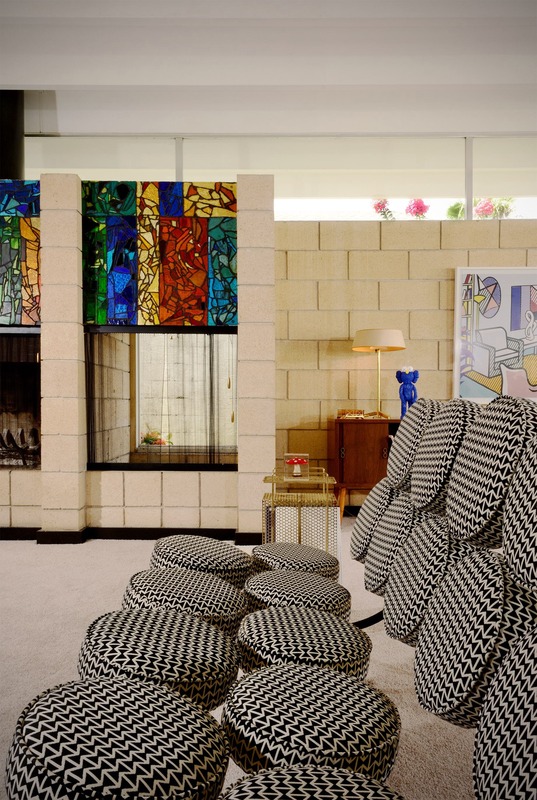 Pay attention to the lines and heights of pieces; you can’t go wrong with midcentury modern pieces in your home.